You know you're a retarded scrapper when you go to scrap a 19th century home, then bust a hole in a wall, and realize that older homes used lead pipes. This hole was punched shamelessly in a wall that likely didn't have riser pipes anyway, given the home's age. 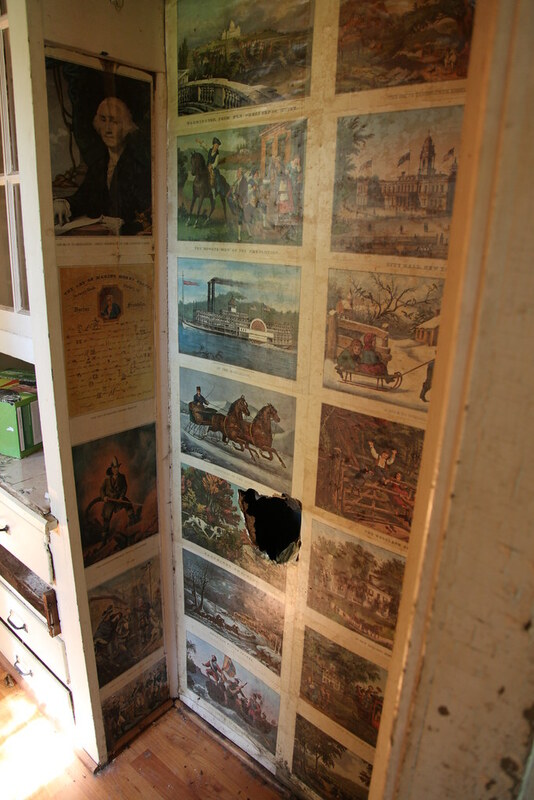 Unfortunately it desecrated the home made wallpaper, which will be featured in more detail later in this gallery.